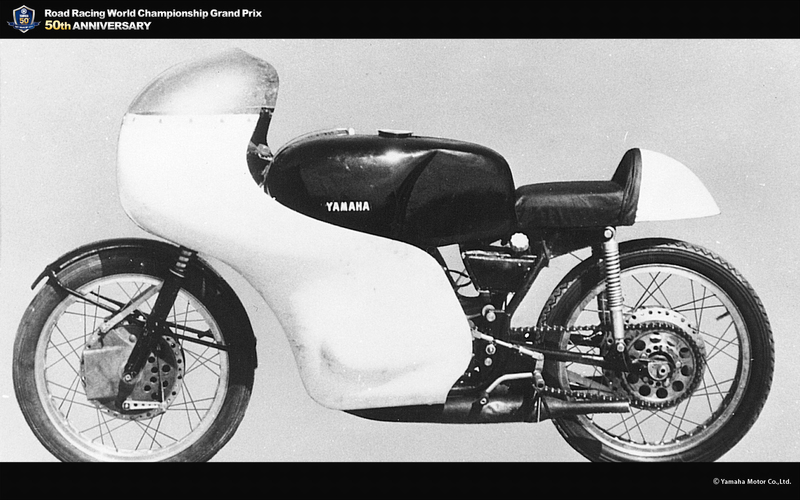 RD48 - race | Yamaha Motor Co., Ltd. 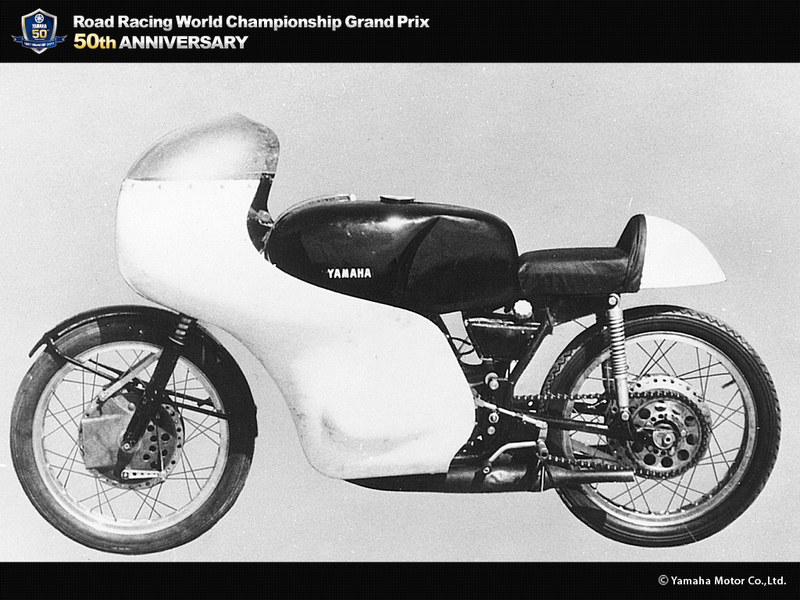 This was the 250cc class machine used in Yamaha's first World GP challenge. Its 2-stroke air-cooled 2-cylinder engine used gasoline-oil mixed fuel while also mounting an oil pump-powered forced lubrication system. It also featured rotary disc valves on either side of the crankshaft and a carburetor with separate float chamber. This power unit, with its output of 35PS, was mounted on double cradle type frame. The chassis was styled after the Italian production racers of the day in terms of the type of rear suspension mounting and the elliptical cross-section of the rear arm. Its look was defined by the full cowling that covered even the handlebars, which was later revised for the final round of the season, the Argentine GP. 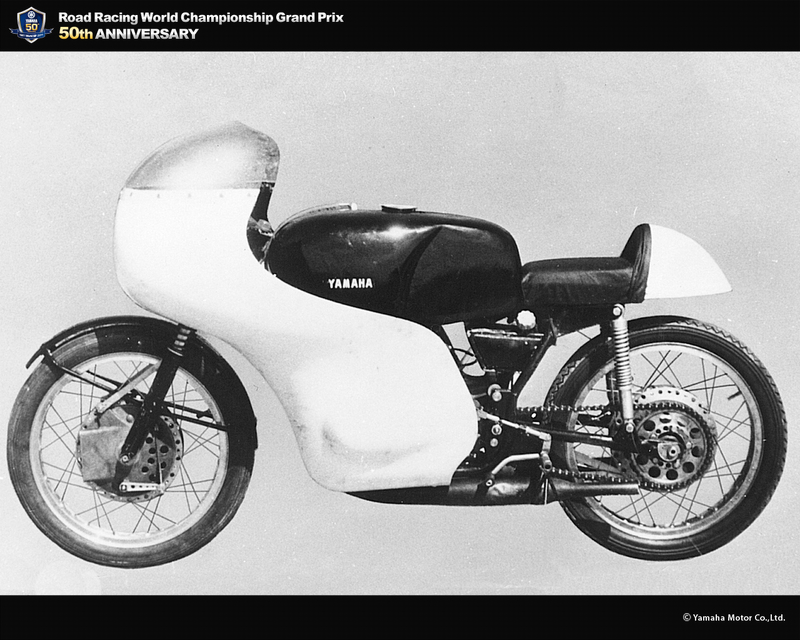 The "R" in its RD48 designation stood for racer and the "D" was Yamaha's designation for the 250cc class (A for 125cc machines). 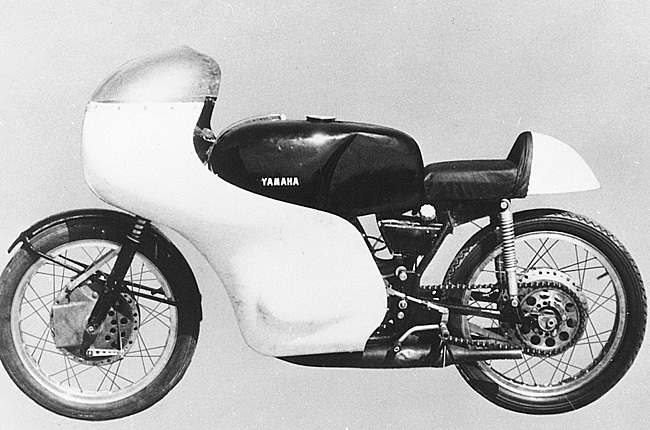 The "48" was the development code for the engine, which derived from the YX48.